Oh man this French Toast Parfait is good! 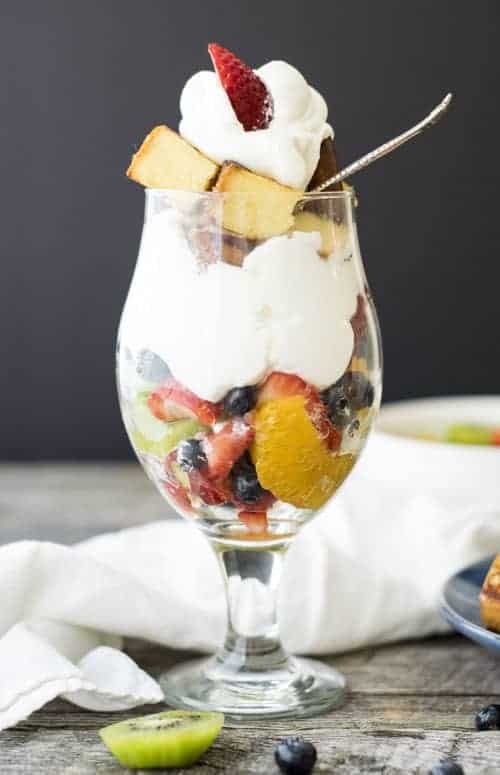 My original idea was to just make a simple parfait of pound cake, whipped cream, and Easy Fruit Salad. Then I was like … why not make this pound cake into french toast!? 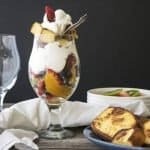 This French Toast Parfait turned out way better than I expected! This would be a perfect brunch recipe! I LOVE any combination of fruit, whipped cream, and yellow cake. I didn’t make the pound cake (it is a Sara Lee). The whipped cream is homemade though! If you make french toast out of the cake no one would ever notice it’s not homemade (or care). Slice the bread or pound cake into 1″ slices. Mix together an egg, milk, cinnamon, and some salt in a bowl. Melt some butter in a skillet over medium high heat. Dip the bread into the egg mixture and fry in the pan on both sides. 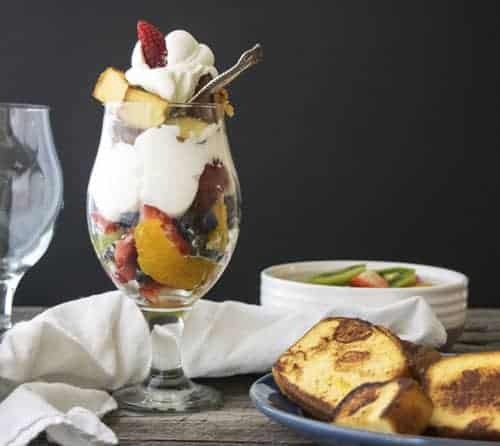 French Toast Parfaits are an easy, fancy brunch recipe. 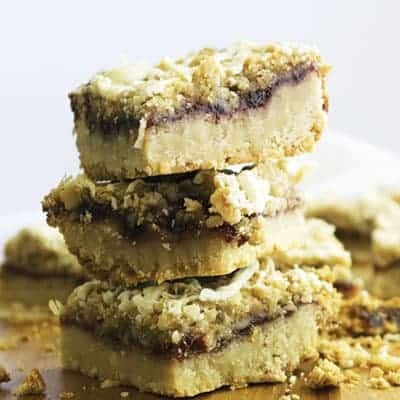 Use up your Fruit Salad leftovers in this delicious treat. Slice the pound cake into 1″ slices. Mix together the egg, milk, sugar, cinnamon, vanilla, and salt. Melt 2 Tablespoons of butter in a skillet over medium high. Fry the pound cake on each side for around 3 minutes or until they are brown. Then place the other 2 Tablespoons of butter in the skillet to fry the rest of the pound cake. 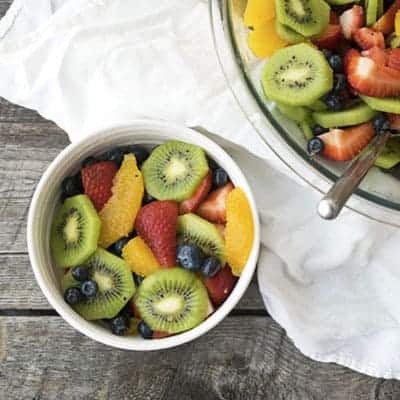 Mix together the Easy Fruit Salad, and layer all of the ingredient however you want! Check out my Easy Fruit Salad Recipe to complete these parfaits! 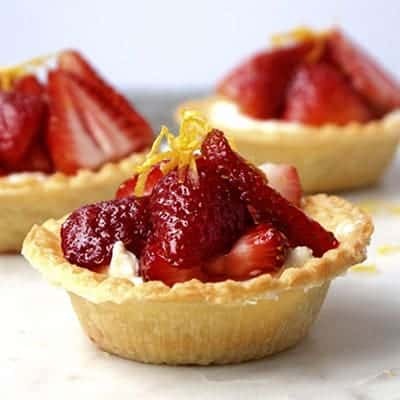 Or make these Cream Cheese Tarts with fruit salad instead of using pound cake!